Everyone understands the importance of regular preventive maintenance for automobiles and trucks. We take them in for regular oil changes and inspections because we know that neglecting those services will shorten their lives. For many Twin Cities homeowners, though, regular maintenance services for their heating and air conditioning systems is easy to forget. That’s a mistake, because they’re also a major investment and have regular maintenance needs, just like our vehicles. Over time, the air ducts in our homes accumulate a surprising amount of dust, pollen, dust mite droppings, pet dander and hair, along with other contaminants. Not only do these contaminants contribute to allergies and other health concerns, they also constantly circulate this material in your home, making it more difficult to keep clean. Worst of all, they reduce the efficiency of your heating and cooling system. That costs you extra money on your energy bills. For as little as $99, an experienced technician from our duct cleaning division will thoroughly clean your air ducts and vents, remove those contaminants, and restore your air duct system to efficient, clean circulation of air throughout your home. For best results, we recommend annual air duct cleaning for most homes. Learn more about our duct cleaning options by visiting our Minnesota Air Duct Cleaning Service website. If you’re a rental property owner, are planning to sell your home or are buying a home, our furnace certification service is the best way to assure yourself that the gas furnace in any Minneapolis St. Paul area home is in good, safe operating condition. In some cities, this certification is required for rental homes and when a home is sold, as well. Our trusted heating and air conditioning company offers certification services for just $159. 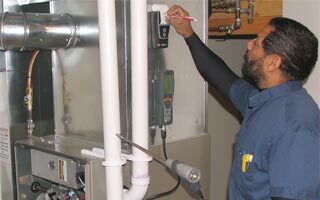 Get the peace of mind of knowing that your home-heating equipment is safe and operating properly. Homeowners across the Twin Cities have been relying on our top-rated services since 1991. With our expanded service area, we can deliver prompt and affordable services to every suburb, from Roseville, Apple Valley, Woodbury, Eagan and Hopkins to Edina, Bloomington, Wayzata, and Richfield, and from Minnetonka, Plymouth, Maple Grove and St. Louis Park to Champlin, Minnetrista, Shoreview and White Bear Lake. Regular maintenance of your residential HVAC system is crucial to keeping that system running efficiently and preventing costly premature failures. As the award-winning residential heating service company, our experienced and thoroughly trained technicians are on the job throughout the Minneapolis St. Paul metro area, performing required regular maintenance efficiently and affordably. Whether you bought your heating and air conditioning system from us or not, we’re your best choice for all service and maintenance needs. Contact us today to schedule a service.